Every book purchased from our store is signed by Nely Galán! For readers of #GIRLBOSS and viewers of Shark Tank a global revolution in entrepreneurship is under way, inspiring women to blaze a trail of financial self-reliance and become self-made. Featuring a foreword by Suze Orman. What does it mean to be self-made? It s not just about having money, but financial empowerment is where it begins. It means getting out of survival mode, where you are one problem away from catastrophe. It means changing your mindset from instant gratification to goal orientation. It means being able to sleep at night without worry. It means being rich in every way: rich in money, rich in family, rich in love, rich in time abundant! 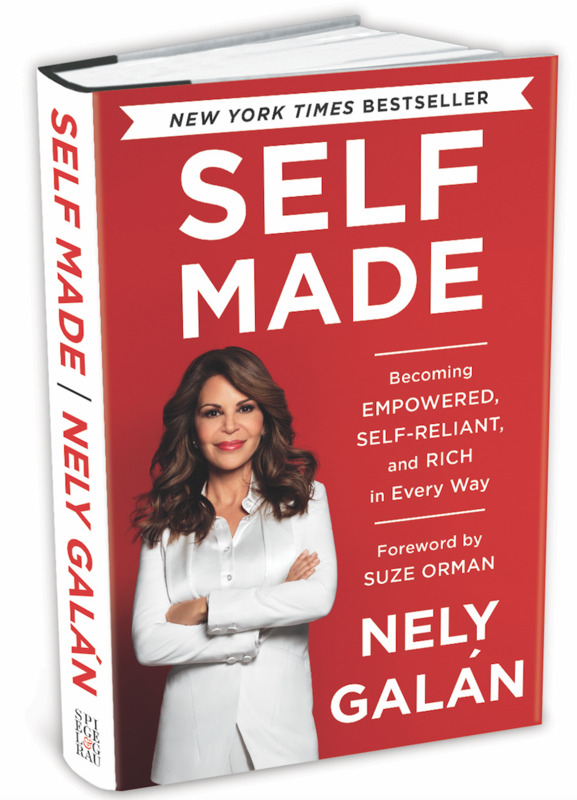 For Nely Galán entrepreneur, TV producer, and real estate mogul helping women to become self-made is a movement and a mission. Galán pulls no punches. She is the straight-talking friend and mentor you ve always wanted, and here she shares valuable, candid, no-nonsense lessons learned on her own path to becoming self-made ( There is no Prince Charming ; Think like an immigrant ; In your pain is your brand ; Don t buy shoes, buy buildings! ). You ll read inspiring stories of women who started and grew businesses out of ingenuity, opportunity, and need. You ll find exercises to help you identify your goals and your strengths. You ll learn tips and tricks for saving money, making money, and finding hidden money that can help jump-start your self-made dreams. You are not truly complete as a woman until you feel confident and empowered to make decisions about your money. Throughout my career, I have seen how a woman who takes ownership of her financial life is transformed and liberated, and how that in turn has a tremendous impact on her children. This is my belief and my personal experience, and it s why Self Made resonates so strongly with me. Maria Elena Lagomasino, CEO of WE Family Offices and member of the board of directors of the Walt Disney Company, the Coca-Cola Company, and Avon Products, Inc.